It is right that Dr Foster highlights the differential death rates for hospitals. And it is also right to highlight any disparities between their findings and those of the hospitals inspectorate. Overall, the hospital standardised mortality ratio (the actual number of deaths against the expected number) fell by 7% last year. That means 14,500 saved lives. 5,024 people died after being admitted for "low-risk" conditions such as asthma or appendicitis, of whom 848 were under 65. A proportion of those deaths will be linked to safety errors. But is it too much to ask for some context in reporting the whole story? This post has been picked up by John Rentoul. I hold no truck for Hizb ut-Tahrir. I would certainly share Tony Blair's instincts that they should be banned. But they are not. Nor is there any evidence that the organisation is running two independent schools in Slough and Haringey which receive state funding under the government's under-fives programme that has relied largely - as apparently will the Tories' new schools programme - on the private and voluntary sectors for expansion. David Cameron and Michael Gove have been condemning the Government for funding these schools. Yet Tory spokesmen win applause from headteachers pledging that the Tories' new schools will be funded with the minimum of bureaucracy, sweeping aside most current checks. I'm all in favour of cutting bureaucracy and slashing the size of DCSF circulars - I spent many an hour trying to do so when I worked in the old education department. But some bureaucracy does have a purpose. For example, Ofsted currently looks at what a state school does to promote community cohesion as well as teaching, behaviour, leadership and attendance, a measure introduced precisely to ensure that state funding does not go to sectarian or cultish religious schools. The curriculum includes citizenship - following a review in which Lord Baker was prominent - to promote democracy and create a common sense of identity. No longer, apparently, if the Tories have their way. And I'm not aware of any Tory plan for a more rigorous inspection of independent schools; if there is one, perhaps they could share it with the sector. How exactly can the Tories guarantee us that they will not fund a school run, say, by a group of Muslim parents where some people suspect a hidden promoter but cannot prove it, under their free-for-all? Either they will have proper (bureaucratic) checks or they will not. Today’s Ofsted annual report has both good and bad news. There has been a substantial increase in the number of ‘good’ and ‘outstanding’ schools – the equivalent of 1800 extra good schools in three years – but there remains a stubborn group where teaching is poor. More needs to be done to improve literacy and numeracy at every level. And an increasing number of local authority children’s services departments is rated inadequate. Some of the problems being highlighted have been the focus of earlier reports. But the evidence is also that the focus of accountability – and independent inspection – is making things better. Yet this year’s report has been accompanied by an unusually loud chorus of criticism from those who see themselves as the victims of Ofsted. The Local Government Association complains that the inspectors look for trouble too much. The National Union of Teachers says it doesn’t give schools that don’t get decent overall GCSE grades top marks even if they do well on the government’s value added measure. And the Association of Directors of Social Services thinks that the inspectors have got too tough, and that’s making it harder to recruit social workers. One reason why the criticism is louder is that Ofsted inspects much more now than before. As well as schools, its role extends to nursery education and childcare, further education colleges, training providers, children’s social services and local authority children’s services departments. And the current chief inspector Christine Gilbert inherited an inspection regime where enforced efficiencies led to more reliance on data and less on classroom or frontline observation. Those systems are changing. School inspections since September include more of what happens in the classroom. And together with spot inspections, inspectors talk more to social workers than before. Even so, data can reveal truths too. I doubt many parents would think a school – no matter how challenging its intake – could be deemed ‘outstanding’ if 75% of its pupils failed to meet the basic GCSE benchmark. Of course, there is a legitimate debate about the government’s decision to merge so many children’s services and education functions, and on the weight given to the Every Child Matters objectives that are now part of the inspection mix. But the bottom line is that Ofsted remains an invaluable asset because of its independence and its willingness to act without fear or favour. And its findings can still make uncomfortable reading for governments as much as they do for some schools and service providers. Which is as it should be. The Sunday papers are full of sanctimonious twaddle about the choice of the Belgian prime minister and Baroness Ashton for the two top European jobs, heaping blame on Gordon Brown for failing to do something or other that is not entirely clear, given that Britain still won one of the top jobs despite their unpatriotic efforts effectively to promote Benelux federalists over the outstanding British leader of recent times. Has there ever been a clearer example of people ignoring the consequences of their own position? Given that these newspapers - shamefully abetted by the Conservative front bench - actively campaigned against the one British figure who could have brought real relevance to the Presidency of the EU, isn't a morning of silent embarrassment the least we could expect in atonement for own culpability in the outcome? 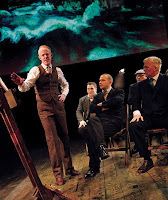 To see the wonderful National Theatre production of Lee Hall's The Pitmen Painters last night. Max Roberts' production of the story of a group of Northumberland miners whose artistic talents were unleashed thanks to a combination of the Workers Educational Association and an academic art teacher from Durham University, Robert Lyon, who believed in them makes for great theatre and a splendid mix of comedy and tragedy. The group saw their work displayed in galleries during the 1930s and found themselves feted by the art establishment. Of course, there were tensions with their new-found fame, and the clash between a belief in tight-knit community values and an aspiration to get on in the world are well explored, with aspiration the loser or community values the winner depending on your perspective. The staging is splendid with overhead projections of the paintings and art blended with an otherwise simple stage that is perfect for the many scene changes. The cast is great, and while the author is keen to bemoan the failings of post-war Britain to embrace socialism, the real loss is perhaps the spirit of auto-didactism that inspired such a culture of learning and inquiry. The Bath audience cheered the cast into four well-deserved encores. I can easily see why this play won so many awards. It is back in London soon, and is well worth seeing. Until yesterday, Ed Balls had commendably resisted attempts by the teaching unions to scrap accountability, by refusing to abolish testing and league tables. Yesterday, he announced pefectly reasonably that teacher assessment results would be published in league tables alongside test scores. What was unreasonable was his suggestion that Key Stage 2 tests could go, in a shameful attempt to curry favour with the teaching unions. Primary schools face one set of external tests. 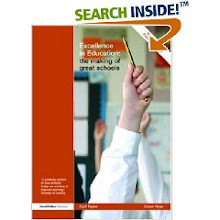 They are vital for parental confidence, Ofsted inspections and public accountability. Doubtless many of the assessments will match the test scores, which is as it should be. But if the system becomes entirely self-policing, the dynamics would change considerably. There would be no real pressure to achieve in the basics, and this will particularly hurt boys' achievement in English. It will also hurt standards in primary education, where accountability has been important in the improvements over recent years. I have been critical of Michael Gove's proposals to shift the tests to the start of secondary school, partly because it too was an attempt to appease the unions, but also because it would delegitimise the results as secondary teachers have an interest in marking down pupils at the start of secondary (Gove has since suggested that he would probably go for external marking). Both Balls and Gove should make clear their unequivocal support for externally set and marked national tests, and stop putting the interests of the teaching unions ahead of children's futures and school standards. This post was quoted in the TES. Michael Gove has been on Today bemoaning the level of 'electioneering' in today's Queen's Speech, suggesting that such tactics would have been beyond previous Prime Ministers. I presume Michael was having a laugh. Otherwise, I must have been dreaming when John Major invented 'a grammar school in every town' just ahead of the 1997 election - the policy Michael and David Willetts have wisely binned - and extended assisted places in their last legislation as a way of creating silly dividing lines with Labour on education (which we managed to turn to our advantage with a policy of cutting infant class sizes instead). In fact, today's measures are surprisingly strong for a government that is supposed to have run out of steam. The new national care service blueprint is a long overdue way of addressing a major concern for many families. The earlier guarantee of an 18-week waiting time for treatment shows how far the NHS has come since 1997, and matters hugely to patients, but it does challenge the BMA spokesman and part-time shadow health secretary Andrew Lansley who would happily see waiting times back at eighteen months, if it kept his consultant chums happy. The parent and pupil guarantees may be more reflective of what already exists, but they are an important statement of measures that matter. And the commitments on fiscal responsibility answer the charge that the Government is not ready to cut the deficit. There is no reason why the Tories should oppose any of them - or object to their introduction. However, when Michael Gove told us what crucial legislation he was planning, the best he could do was to declare more powers of confiscation for headteachers. Since heads have had significantly extended powers in this area under Labour, it is doubtful these are quite as crucial as he pretends. The measures he wants could probably be introduced through secondary legislation or ministerial guidance. But then if he is elected, he will want to have a first education bill to give the impression that he is 'changing' things 'radically'. How shocking it would be to see such blatant politicking with legislation and Her Majesty's precious time. With William Hague telling Euro-leaders not to back Tony Blair for the Presidency of Europe, it is instructive to read the considered thoughts of his most serious rival, Herman Van Rompuy, who one assumes to be David Cameron's preferred candidate in the absence of any loony right-wingers from Eastern Europe in the running. According to today's Times, Dave's man wants to see new European taxes. It is no wonder that the well-informed Ben Brogan is urging a small wager on Tony Blair winning through. With 4/1 available at Paddy Power, it doesn't sound like bad advice. There is a lot of predictable disdain about plans by Gordon Brown to apologise on behalf of the British state for the appalling way in which child migrants to Australia were treated. I first learnt of their story when David Hinchliffe was part of our shadow health team in opposition in the mid-nineties, and was working with the Child Migrants Trust to lead a parliamentary drive to get them greater recognition. And watching the joy on the faces of so many of those who were at Kevin Rudd's apology in Australia, there can be no doubt that Brown should do the same here. There are parallels with the extent to which the abuses of some Catholic clerics - and the cover-ups of church and state - are being painfully but necessarily brought to light in Ireland and elsewhere. Of course, the sneerers say that governments are far slower to apologise for 'wrongs' today. If by that, they mean decisions on Iraq and Afghanistan, or economic decisions taken in Ireland, the difference is that such subjects are widely debated and the topic for many inquiries and court cases. Few heard of the child migrants - or spoke publicly about clerical abuses - until the 1990s, and few in Ireland wanted to honour those who died particularly in the Second World War until President Mary Robinson started to mark Remembrance Day. Yet by accepting past mistakes and omissions, governments not only validate the experiences of those involved, they also set clearer parameters for the future. I'd forgotten how it used to sound waking up to the Today programme announcing a comfortable Labour victory, as occurred last night in Glasgow North East. Congratulations are due to the team involved and to the new Labour MP, William Bain. As well as being a Labour victory, there's plenty more to savour in the result. The pretty poor SNP score - a sobering result for Alec Salmond with barely a fifth of the votes. The Tories barely holding their deposit. And the Lib Dems getting 474 votes, less than either the BNP or Tommy Sheridan in his latest party, Solidarity. This was also a particularly dire result for the Jury Team of no-policy independents, which had fielded the Glasgow Airport hero John Smeaton. Running on what might be called the Esther Rantzen ticket, he got just 258 votes. There's hope for politics yet, even if last night's result proves to be a rare piece of good news for Labour. There is something slightly surreal in seeing a giant of the 60s folk revival playing to a crowd of 800 in the city hall in Salisbury. But it proved a great venue in which to see a still feisty and inspiring Joan Baez on Wednesday night. She says she has never been happier doing concerts than now, and it shows. I've been going to Baez concerts over the last two decades, and she has never been better than in her more recent ones. Having missed her in Bristol, it was a pleasant surprise when she added Salisbury to her tour. She went through a phase of trying to jazz up her act with rock numbers that never quite worked. Now, over two hours without interval, she combines more effective newer numbers, from her latest CD produced by Steve Earle (of The Wire fame) with a brilliant rendition of old standards like Farewell Angelina, Baby Blue, Deportee and Long Black Veil. Sometimes she does these with minimum accompaniment, which is when she is at her best, but this time she was joined by an excellent group of musicians who gave her act the folk feel it deserved. With an encore of Blowing in the Wind and The Night they Drove ol' Dixie Down, she brought a hugely appreciative audience to their feet. True, her voice is not quite what it was, though it remains remarkably pure, and she missed the odd line, but for someone who recorded her first album in 1959, a night with Joan Baez is still an evening to remember. It is hard to believe that it is twenty years since the Berlin Wall came down. But its legacy can be seen throughout an Eastern Europe that has been transformed since, in no small part thanks to the openness of the European Union to countries in the region. I spent over a week in old GDR in 1985, with a Quaker group, where we combined the obligatory visits to the propaganda ministry and those implementing Dresden's ten year plan with far more enlightening evenings in the company of East German Quakers. There was no hint then that the whole edifice of the GDR might be about to tumble. But one was struck by the appetite of those one met for the wider world. Clearly well-educated, they wanted to read and experience more than their censors would allow, and they devoured that which was permitted. A charming retired history teacher in Dresden, who proved an excellent guide to the city's splendid art collection, had managed to retain a sense of humour despite having had to teach her subject in the Nazi and Communist years. She kept her sanity listening to BBC broadcasts and watching West German news bulletins that the authorities tried to distract people from viewing by screening BBC Miss Marple episodes against them. Even then, among religious people, there were some signs of the struggles that would give birth to New Forum and the ultimately successful church-led protests that led to the fall of the Wall. But these were small scale efforts to avoid the humiliations that often came with trying to keep a faith in a society where it was officially discouraged. Leaving the virtually deserted streets of East Berlin, with their feel of the 1950s, to take the U-bahn into West Berlin after ten days on that side of Iron Curtain was a profoundly strange feeling. Little did we know that within four years the ghastly security apparatus that divided the city would come tumbling down. Two years ago, when I took my first trip back to the city since 1985, it was great to see how much had changed, and what had not been shown on that first visit, particularly the way the TV tower shows a cross at certain times of the day that furious GDR officials had never been able to eliminate. True, there was a bit of Ostalgie in the fascinating GDR museum, but there was much more the sense of a city that is going places again, and is far more than just the political capital of a united Germany. Today's celebrations are significant not just because of what they mean to Berlin, but because of what they signify for a Europe that is no longer divided by the grotesque stitch-up that followed Yalta. To see Jane Campion's new film on the last years of the poet John Keats' s life, Bright Star. Based on Andrew Motion's biography, the film tells of his love for Fanny Brawne, his neighbour's daughter in Hampstead and how that affected his life before TB took him to Italy for a forlorn cure and his untimely death. Abbie Cornish carries the film as a hugely impressive Fanny, and there is much to like in the beautiful filming and poetry recitals. But Ben Whishaw fails to spark as Keats and Bright Star suffers from a tediously ponderous first half that is not entirely mitigated by the narrative strengths of the film as events move towards their tragic conclusion. There is something hugely distasteful in the Sun's exploitation of a mother's grief this morning to take a political pop at Gordon Brown. It would surely have been far easier for the PM to have topped and tailed a typewritten letter that had been properly spellchecked by his staff. Because he has decided - honourably - to write the letters himself in a handwriting that Sun journalists and editors must know to be authentically his, down to the poor spelling, we are treated to an excruciating example of the lobby at its worst. Gordon has never had Tony Blair's sureness of touch in dealing with such matters. But on this occasion, he was trying to do the right thing. As Iain Dale says, we should cut him a little slack for that. 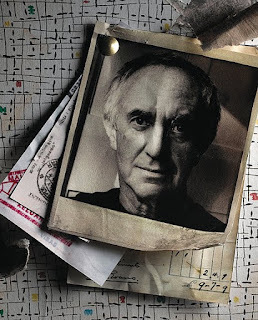 To see a magnificent performance by Jonathan Pryce as the tramp in the Liverpool Everyman production of Pinter's The Caretaker, in Bath this week. The semi-absurdist play, apparently based on Pinter's own experiences of some neighbours in a Chiswick flat, has echoes of Beckett as the tramp and the eccentric brothers play out a series of farcical episodes after Aston, who has a history of mental illness brings home Davies to live in a dilapidated London flat with himself and his volatile brother, Mick. The resulting combination of the tramp's snoring and 'stink' combined with the odd behaviour of the two brothers combine to produce many comic moments. But behind it all are the best intentions never fulfilled - Davies always talks about going to Sidcup for his papers; Mick dreams of importing interior design into the squalid flat. It was Pinter's first big success, and is shown to great effect in this splendid revival. I've just been wading through Sir Christopher Kelly's £339,000 examination of MPs' expenses. On most main recommendations, despite an often Pooterish pettiness, he is probably broadly right, and MPs need to bow to public opinion. But it is only when one starts to consider the detail that questions arise. That is why he should not be so arrogant as to assume that the new independent agency shouldn't look again at some of his ideas. It most certainly should. Phasing out of mortgage subsidies is reasonable. MPs shouldn't make a profit from their London accommodation. And, a £1250 a month cap on rent works if an agency does negotiate some deals, and just about covers the costs of a furnished flat South of the river, provided, as Kelly proposes, council tax and utilities bills are treated as extra. The £120+VAT nightly cap on London hotel bills is also probably manageable. It would at least meet John Mann's Travelodge test. the difficulties of maintaining a clean home while working long hours are not unique to MPs. Should MPs wish to maintain the services of cleaners the Committee does not think it unreasonable to expect them to meet these costs out of their salaries, as others do. Yet these are not their main homes, and 'others' do not generally maintain two homes, certainly not on a salary half that of many senior civil servants. Presumably those opting for hotels should deduct a sum to cover cleaning costs in their rooms? No less petty is the abolition of subsistence allowances for MPs renting rather than staying in hotels. Kelly is right to scrap second homes for outer London MPs and those on the fringes, but with the welcome proviso that accommodation is covered for late night sittings. But here the obsession with detail becomes confused. There is a recognition that getting home in 60 minutes is about more than the train journey. The independent regulator will apparently draw up 'a definitive list of constituencies covered'. Does this mean that MPs who live elsewhere in a rural constituency - or who replace someone on the 'definitive list' should move close to the railway station to meet the regulator's requirements? Fair enough to get MPs to publish what they spend on travel. But, it doesn't always follow that a first class rail ticket is absurdly expensive. A Sunday evening first class ticket from Bath booked in advance is far cheaper than a 2nd class open return on a Monday morning, for example. So I fail to see the point of publishing the class of ticket, apart from playing to the gallery. There is also a curious disincentive on MPs to stand down at a general election, rather than fighting and losing their seat. An MP who is defeated can get nine months pay after two terms, but one who doesn't stand again after twenty years only gets two months. There is no good reason why someone the electors have rejected fares so much better. Despite the publicity that a small number of cases have received, the Committee has no evidence of abuse occurring on a significant scale through the employment of family members. On the contrary, the Committee has heard evidence that many MPs’ family members work hard and offergood value for money for taxpayers, including testimony from those who have expressed reservations about allowing the practice to continue. Kelly also gives no reason for sacking existing employee spouses apart from satisfying the mob (expressed a little more politely). Yet when it comes to paid employment outside parliament, Kelly moves from the Pooterish to the broad brush pragmatic. No rules apply here beyond the need for a declaration on an improved website. In the Committee’s view, this is largely an issue of balance. A limited amount of time spent writing newspaper articles or other paid journalism, for example, need not be incompatible with being a fully effective MP. Nor is it unreasonable for MPs with professional qualifications to wish to maintain some element of expertise, or for others to take the view that limited direct experience of a particular issue is a good way of building up expertise which will benefit their contribution in Parliament. But if any of these activities are pursued to excess they are bound to have an impact on the MP’s effectiveness in performing their main role. The Committee takes the view that outside paid employment should not be banned, provided it is kept within fairly limited bounds and there is transparency. Kelly will explain his thinking at a press conference tomorrow and presumably in interviews. That will be the limit of his accountability in changing drastically not only the way MPs are paid, but in the ways they function. MPs are loathed but at least they are accountable around the clock, unlike current senior civil servants and former officials who wield immense power. If an MP throws a grenade into any saga they will be on the Today programme at ten past eight to explain what they were up to and a non-appearance would be pilloried: "We asked X to appear, but they refused to do so". Yet others who wield power without responsibility are revered even if they cause mayhem. Legg is nowhere to be seen. Kelly will return to the darkness. MPs sweat in the public eye. The more they explain the more they are loathed. The parties are pushing any decision on increased university tuition fees until after a 2010 election. All the predictions suggest that the review will propose that fees increase from their current maximum of £3225 a year to anything between £5000 and £7000. But neither the Conservatives – who have dropped their previous opposition to fees – nor Labour are keen to advertise this before an election. Hence the cross-party agreement on a fees review – details probably next week, but heralded by today’s publication of a new higher education framework by Lord Mandelson, the business secretary, echoing a similar deal between the Tories and Labour in the Dearing review that led to the £1000 annual fee after the 1997 election. In some ways, it is easier now than before. The last two changes to fees had no lasting negative impact on student numbers. Indeed, the problem today is that there are too many applications for cost-limited places. And where the big concern was that a new fees system would hit social mobility – again it hasn’t, as students are cushioned by income-contingent loans repaid only on graduation - there is now just as much concern about the quality of courses and the contribution being made by employers. Of course, efforts on social mobility need to continue and intensify, as Mandelson said today. And they need to be better targeted, with more emphasis on links at an earlier age in schools. But the new emphasis on course quality is overdue. Many students and their parents bemoan the limited teaching hours and tutorial time in too many universities. It is a complaint heard as loudly from overseas students who already pay in excess of £10,000 a year for their courses. It is evident in any reading of the. National Student Survey for individual faculties. Now there is cross-party acceptance that something must be done. And universities need to do much more to respond. The second issue of employment links is sometimes presented as a form of philistinism. In reality, many degree courses, especially those taken by mature students, are highly employment-focused already. The issue for government – and society – is whether employers should contribute more of the cost, and do more to help shape such courses. This is about more than sponsoring individual students: it could see more degree courses delivered largely in the workplace, for example. Such developments are where the real expansion of higher education – that which is vital to the economy - might take place over the next decade, often with part-time students. In addressing these issues head on – despite an understandable wish to leave the level of fees for later – Peter Mandelson is showing a decisiveness in higher education that seemed lacking in his more cautious predecessor, John Denham. While Denham extended grants, the cost was borne in fewer places. And he made no secret of his lack of enthusiasm for higher fees. Yet universities need the money to stay competitive. They – and employers, who have argued for the fees increase – now need to show that they can meet the higher expectations placed on them in return. When I was in Washington last month, one couldn't escape the TV ads for the Virginia gubernatorial elections taking place today. And it was pretty clear that the Republican Bob McDonnell, was wiping the floor with the Democratic candidate State Sentator Creigh Deeds. A shrewd mix of clever policies on issues like transport gridlock, combined with relentless attacks on Deeds, seemed to be getting little response from the hapless Democrat. No wonder Barack Obama passed on getting too involved in his campaign - even though it was in a state that Obama took last year. By contrast, Obama has been lending his weight - no pun intended - to Democratic Governor Jon Corzine to Republican Chris Christie. Corzine's attack ads were certainly the stronger, including dubious attacks on his opponent's girth, but faces a tough battle tonight. If the Democrats lose both states, a lot will be written about Obama's failings. Indeed much has already appeared on these lines. And it is true that the healthcare legislation has fallen victim to a combination of sharp politics by the private healthcare industry and some pretty inept early responses by Obama and his people. Moreover, the shrillness of the Conservative Repubican media and political opposition have made it hard to become the unifier he might have been. But the reasons for defeat today may have more to do with the candidates in both states and less to do with Obama than critics allow. No account of the first year of this President could fail to recognise how much he has tried to do, and how far things have advanced in a year domestically. The US is now far stronger on climate change than before, and is ready to accept targets, even if they are less than the Copenhagen summiteers might wish. He has successfully revived the American economy, which is now back in growth. He has embarked on ambitious and very New Democrat education reforms. And he is now within striking distance of major health reform, even if the limited public option may still limit its scope. What he has largely avoided, to his credit, is getting sidetracked by second order issues (unless declaring a brief war on Fox News counts). Internationally, good relations have been restored with Russia - at least, to a point. He has made bold speeches in the Muslim world. Hillary Clinton's appointment has proved astute in associating his administration with important foreign policy achievements, including her Northern Ireland mission recently. His Afghan policy may not be settled, and is suffering from the large casualties recently, but he is gaining more credit for careful consideration on military numbers than criticism for dithering. All in all, that's not a bad record for a first year. And I have never pretended I didn't have my doubts about Obama. Of course, it won't be enough this time next year, by which time healthcare must be up and running, and the economy must have been showing serious continued growth, with unemployment starting to reverse. But significant credit is still due one year on. It is a long time since I have seen Alan Johnson so angry as he was with Adam Boulton on Sky News this morning, defending his decision to sack Professor David Nutt from his position as chief drugs adviser. But he was absolutely right to do so. Professor Nutt seems surprised that the Home Secretary should take exception to his adviser publicly slagging off the government, and breezily declaring ecstasy to be less problematic than horseriding. Such spurious comparisons may have some statistical merit - for example, in preparing a new edition of Freakonomics - but they do little to advertise the seriousness of someone charged with providing advice on a subject of huge concern to millions of families across Britain. Johnson, as the elected politician, is charged with making decisions, drawing on scientific advice but also on society's expectations. It is a calculation that seems wholly to have eluded Prof Nutt. Look by contrast at the excellent chief medical officer Sir Liam Donaldson, to see someone who has an understanding of the real world as well as huge skills in his specialist field. That Prof Nutt seemed so unfamiliar with that world in which a Home Secretary or Prime Minister has to operate may qualify him for a place in the ivory towers of academia. But it made him ill-suited to being a government adviser. MONDAY 1.30pm UPDATE: Those who are defending Prof Nutt seem to suffer from two delusions. The first is that the Professor was prevented from giving advice based on his view of the evidence in public. He was not. He was sacked for actively campaigning against government policy. The second is that his view of the dangers of cannabis and ecstasy is a scientific truth, accepted by the entire scientific community. In that light, the work of Prof Robin Murray, which has shown the harmful impact of continued cannabis use on people's mental health is particularly illuminating. Indeed, if Prof Murray who also gave a fascinating and worrying interview on the World at One today is right, it would seem that some of the advice given on this subject by this 'expert' committee was not only wrong, but dangerously so. This post has been picked up by John Rentoul and Hopi Sen.
A plan to crack down on parents lying about their home or religious circumstances as a way of gaining an advantage in schools admission has attracted the predictable response that 'there should be more good schools' rather than fairer admissions rules. And an inquiry into school lotteries - predictably - is likely to endorse their continued use. Of course, those who raise the mantra about good schools - like the indefatigable Sheila Lawlor on Today this morning - don't bother to look at what's actually been happening in schools over the last decade or so. There are twice as many comprehensives where 70% or more pupils achieve five good GCSEs including English and Maths, and the number where fewer than 30% do so has fallen from 1600 - half of all secondaries in 1997 - to around 250 today. But even if the numbers of top performing schools are doubled again and no school gets below the 30% benchmark - which should be the minimum expectation for the next phase of school reform, although the Tories are curiously unwilling to explain what outcomes they expect from their proposed changes - there will still be some schools that are more popular than others. Anyone suggesting otherwise is talking rot. So, the issue is then: what is the fairest way to allocate places where a school has more applicants than places? Good schools are encouraged to expand, but are often reluctant to do so. The number of academies, which are typically very popular with parents, is expanding rapidly. But a system will still be needed that is fair. Since both major parties now eschew selection (apart from a limited 10% on aptitude in a handful of subjects) this boils down to a question of whether proximity to a school should trump most other criteria? For primaries, it makes sense to use this. But for urban secondaries, it does not, as the arbitrariness of distance simply drives up house prices and places some schools out of reach on financial grounds. Far fairer to use either banding or a lottery (random allocation). But that is not enough in itself. There must also be a network of community activists trained to help less articulate parents to be as pushy as their middle class counterparts. Such choice advisers should not be local authority bureaucrats, but part-timers from the communities that need support, with credibility in those communities but the knowledge to understand the best choices for individual pupils. And the changes introduced in 2008 (following the 2006 Act), where free school transport is now linked to choice, should be extended and much better publicised so that there is subsidised transport available to a choice of schools within a reasonable distance of one's home. To pretend that choice will emerge simply because new providers are allowed is not enough. There must be active support to enable people to exercise those choices. UPDATE: The Adjudicator's reports can be read here. Ed Balls's response is here; there is to be no wider crackdown, and a welcome endorsement of lotteries as tie-breakers. However, the response does dodge the genuine usefulness of random allocation or banding as a way of widening access to good schools. That is a debate which should not be dodged. This post is also featured on Progress online. To see An Education, last night. Nick Hornby and Lone Scherfig's rendering of Lynn Barber's autobiographical coming-of-age tale, set in early 1960s London, tells the story of 16 year-old Jenny, a bright A level student played with great panache if a little too much maturity by Carey Mulligan, hoping to get to Oxford, who lets her studies suffer as she receives the attentions of an older man, David, whose flash car owes much to his dubious business dealings. Jenny's parents are as seduced as she is by David's charm and wealth, allowing her to swap her homework for weekends in Oxford and Paris, all the time oblivious to the increasingly unpalatable truths about their daughter's 'boyfriend'. Critics have bemoaned the breeziness of the film, which splendidly evokes the good life for some in London at that time, wishing for something darker and more sordid, to go with the obvious unsuitability of the relationship. But the film's ending is hardly lacking in an appropriate lesson in morality, and the film benefits from its general breeziness - and some great acting.